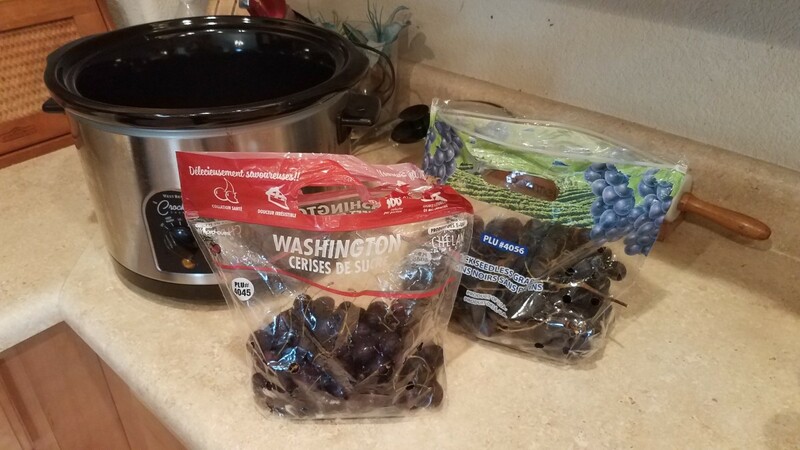 So we had a bag of cherries and a bag of black grapes that my toddler insisted on purchasing from the grocery store that was still sitting in the refrigerator half eaten. He definitely would have killed those cherries much sooner, except that he has to stay in the kitchen to eat them because they are so messy. So here we were. I could either throw them away because they weren't getting eaten or use them somehow. 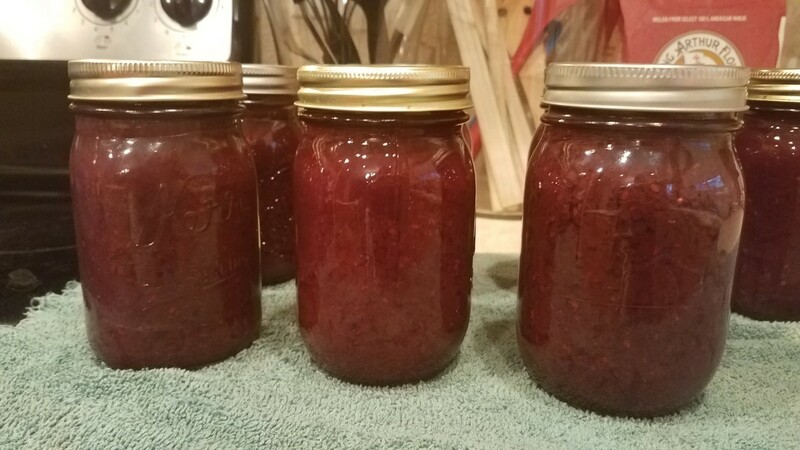 I really hate to waste perfectly good food, so I made jam instead. 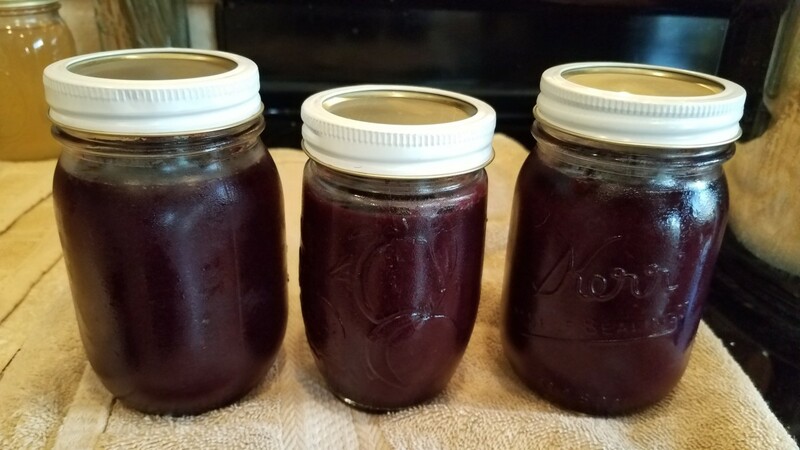 What's great about making jam is that I can turn it into something yummy I can enjoy anytime I want without having to worry about it going bad, because I can process it in jars and store it in the basement for a rainy day. Don't get me wrong. I love cherries and grapes, but grapes aren't my favorite and cherries are so stinking messy. Carrying a baby around all the time, I also have to worry about him getting the pits, or wanting to share mine and staining all of his clothes. 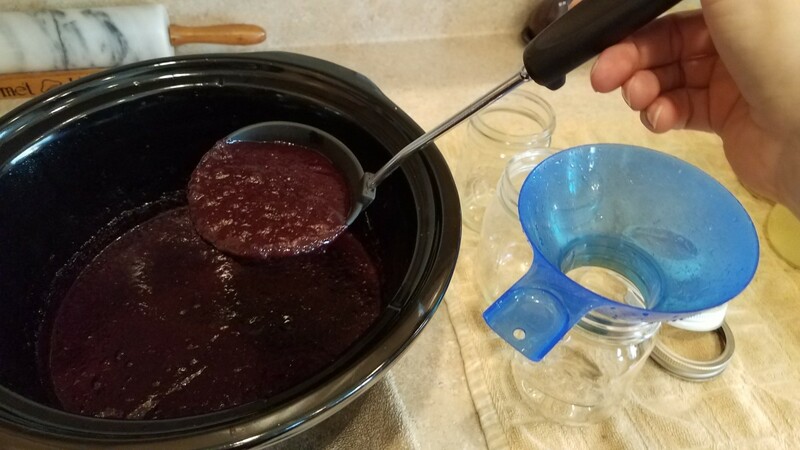 This way, I was able to create a delicious, controllable food item that could be preserved indefinitely and I didn't have to worry about the huge mess they were going to make on my carpet or on my kids' clothes. Win-win for me! So if it looks like I got shafted on cherries and grapes at the store, I'm just using what was left in the fridge to make something yummy. Let me show you how I did it! 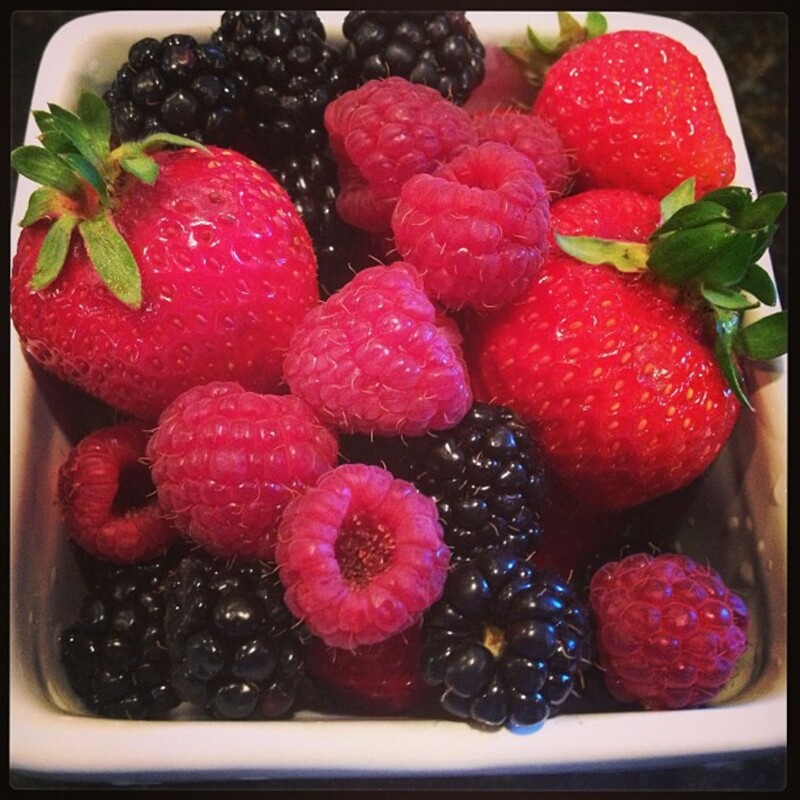 Start by gathering all of your ingredients; your crockpot, cherries, grapes and honey. 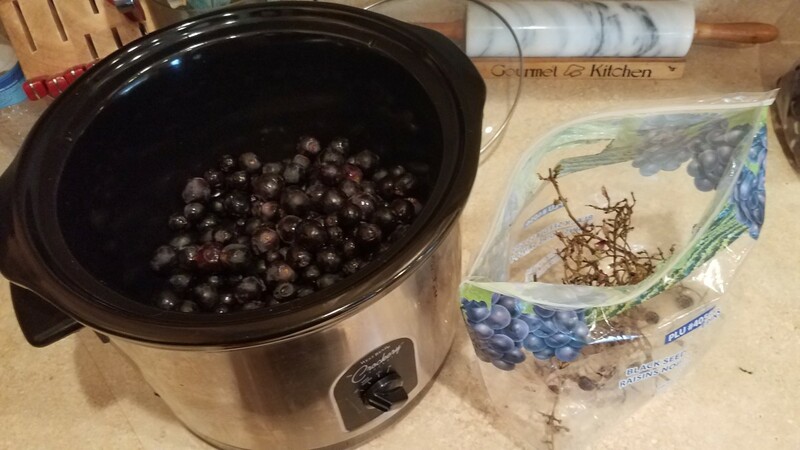 Pull all of your grapes off the vine and toss them into your crockpot. 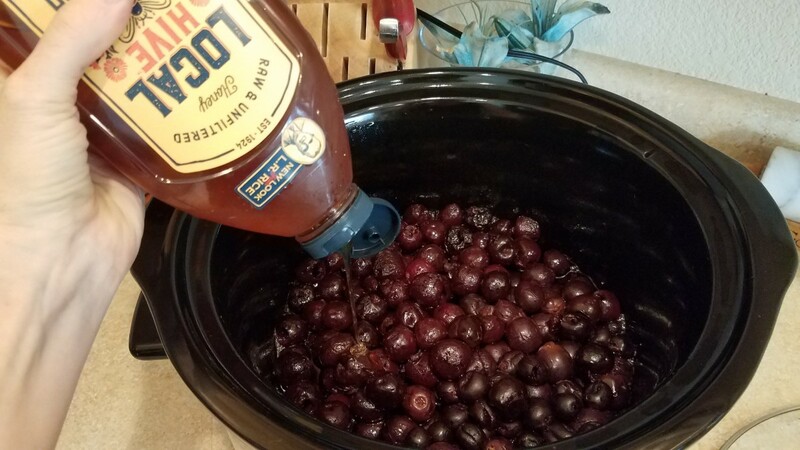 Pit all of your cherries and toss them into your crockpot. 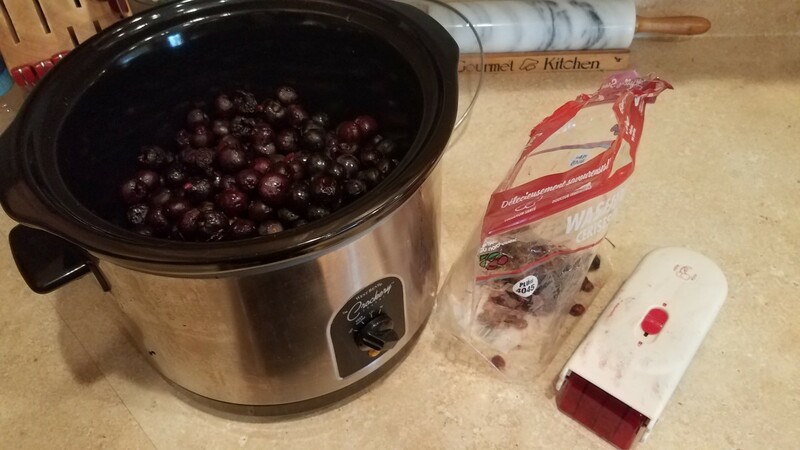 I have a cherry pitter that I got off of Amazon for cheap that pits 6 cherries at once for me quickly and easily, with little effort from me. You could also cut each of them in half and remove the pits yourself. Cover your crockpot and set it to high. Let it cook for 2-3 hours until all of your fruit has wilted. This is a good time to drizzle your honey over the top and stir it into your hot fruit. 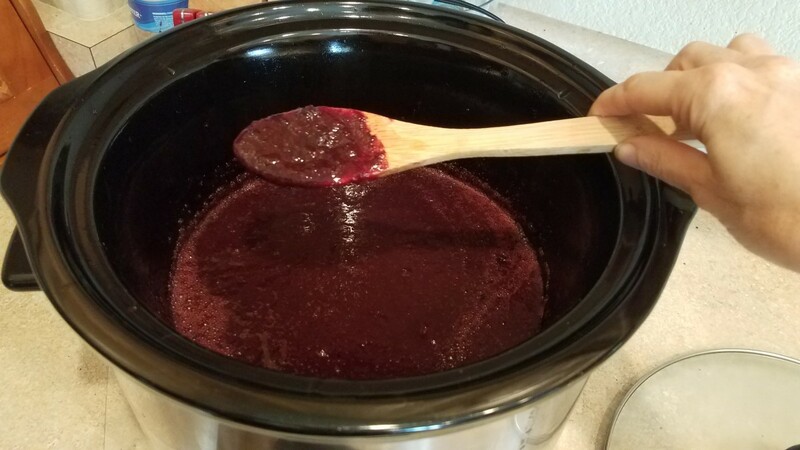 If you have an immersion blender, blend up your jam right in your crockpot until smooth. If not, using your blender an blending it up in batches will work too, but it will be pretty messy. 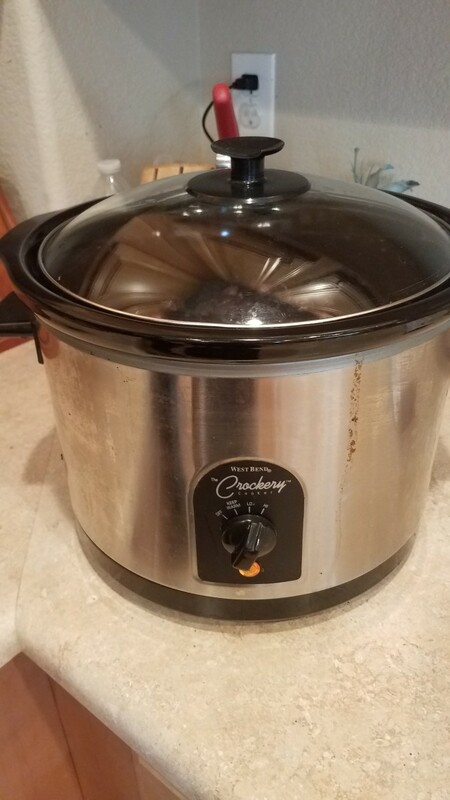 Leave the top off of your crockpot and continue to cook on high another 2-3 hours until it has cooked down and is able to stay thick on a spoon. Set up your canning station. You'll need a water bath canner, at least 3 pint sized canning jars with lids and rings, a canning kit, a big ladle and some towels. 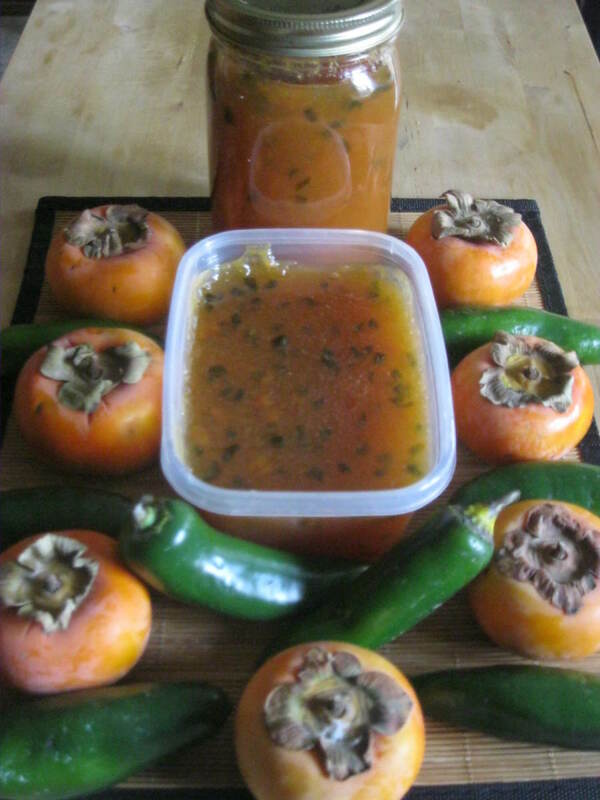 Ladle your hot jam into each of your jars, filling to the bottom of the neck of each jar. Wipe the rims with a damp washcloth to remove any liquid or food. Top each jar with a lid and twist on a ring, but tighten your rings only until you feel the slightest resistance. You want air to be able to escape your jars during processing. 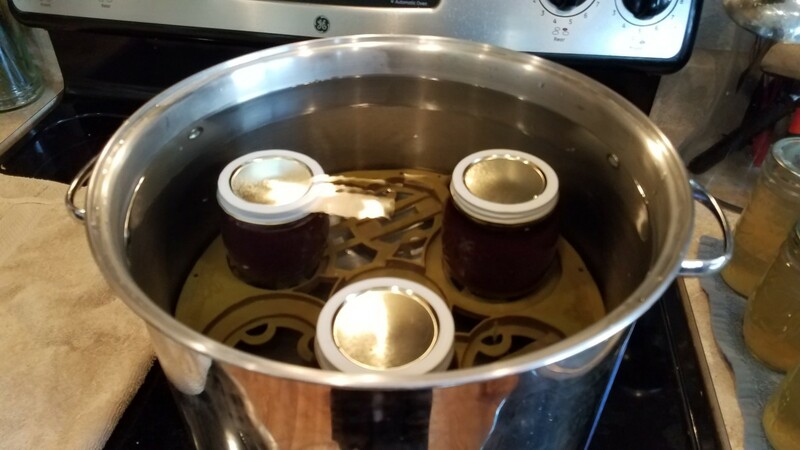 Transfer each of your jars to your canner and cover them with water at least a couple inches over the jars. Cover with the lid and crank the heat to high. 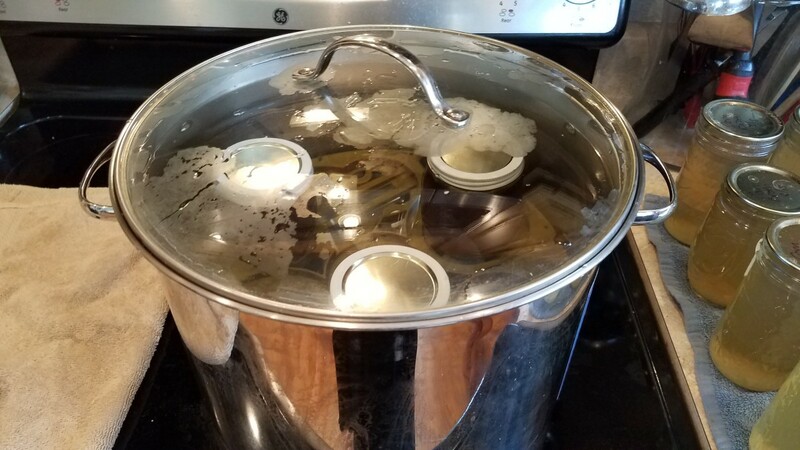 When your pot starts to bubble over, tilt the lid to allow steam to escape and turn the heat down a couple notches. You want the water to be at a rolling boil the entire processing time, but at the lowest temperature. Set your timer to 20 minutes and wait. As soon as the timer goes off, you can carefully remove your jars and place them on a towel to the side to cool for 24 hours. 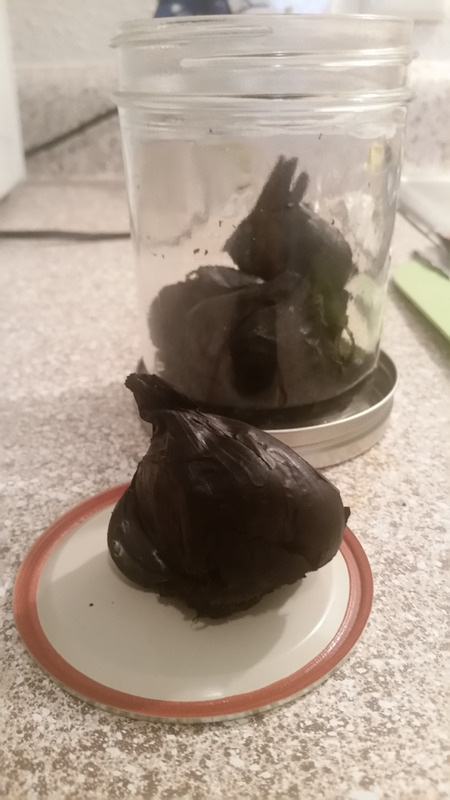 Your jars will pop as they cool, sealing the jars. They should ping when you tap the top of them. 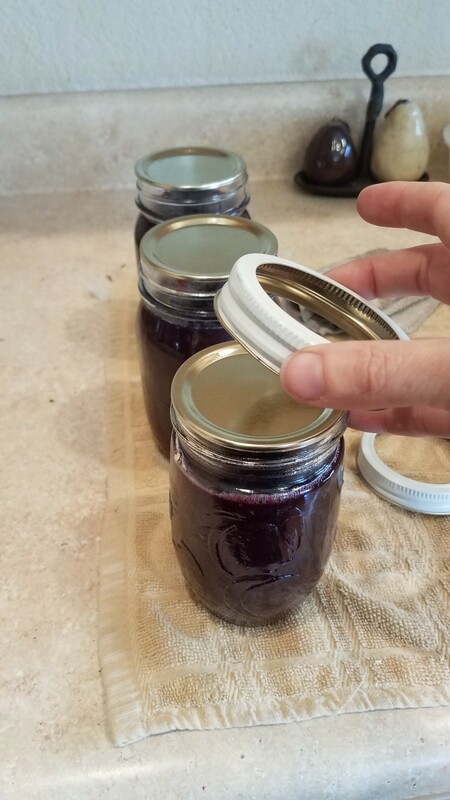 If you get a thud and the 1-2 of the jars did not seal, you can try to process them again, but will need at least 3 jars in the canner. (You can just can water if needed to get your necessary jar number.) But you will need to remove the lids and rings, wipe the jars down again, and replace with clean lids and rings before processing again. If they all sealed, remove the rings, label them with item and date, and store them in a cool, dry location for up to a year. 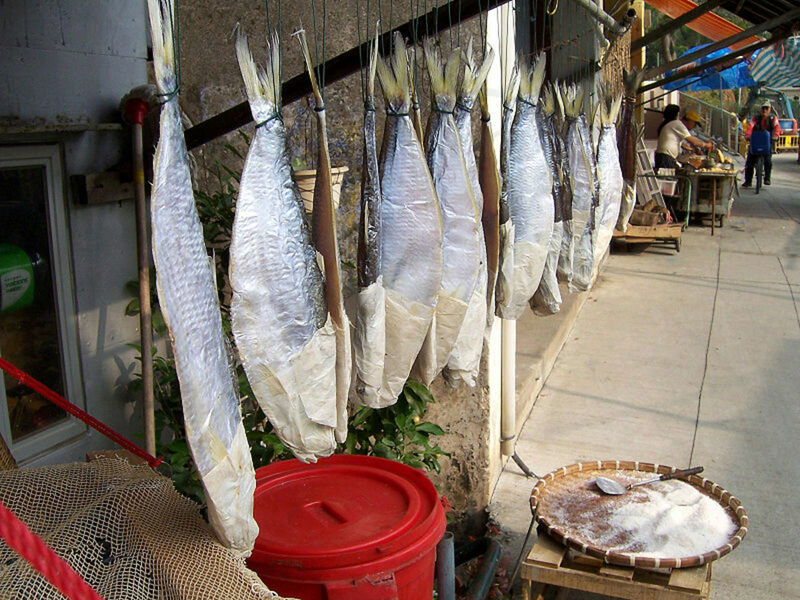 Storing them with rings may allow bacteria to grow underneath, which may contaminate your food. 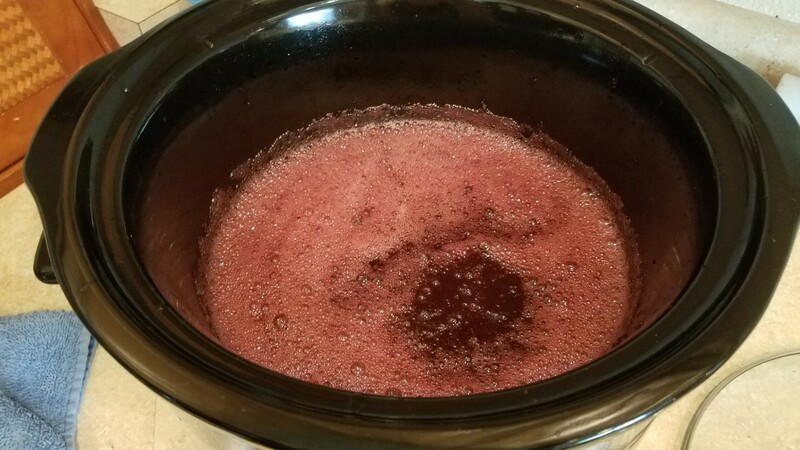 Pull all of your grapes off of their vines and pop them into the crockpot. 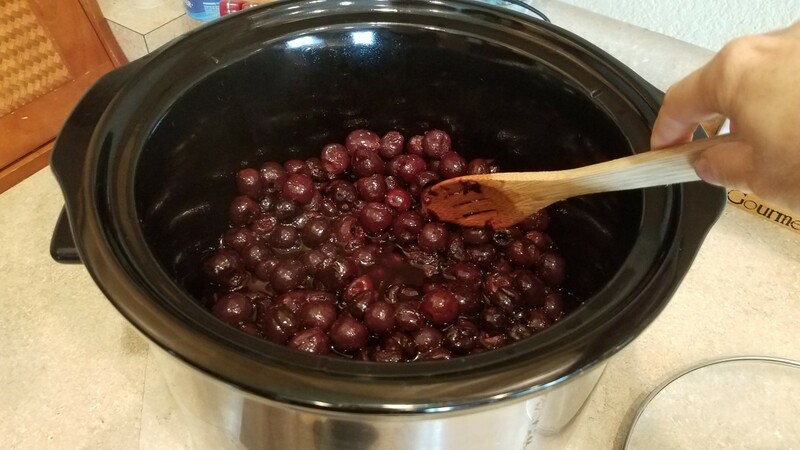 Pit all of your cherries and pop them into the crockpot. 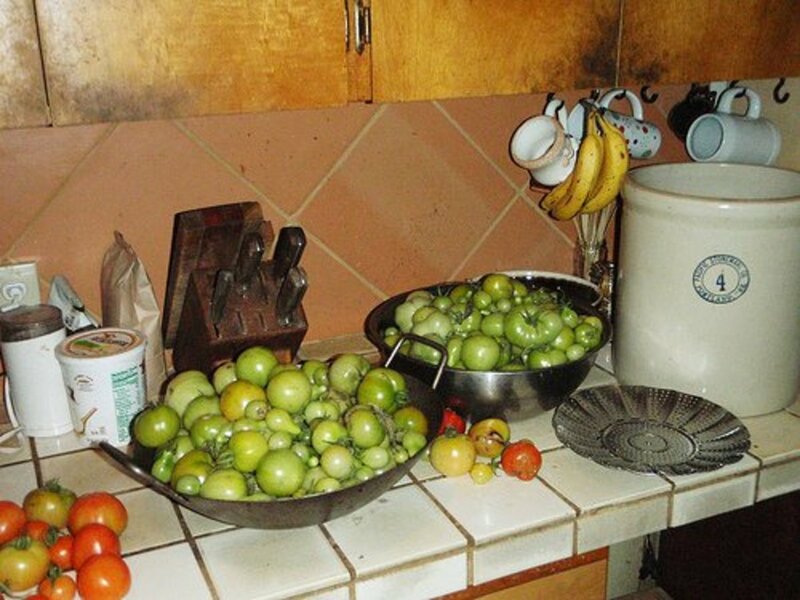 Cover and cook on high for several hours until all fruit is wilted. 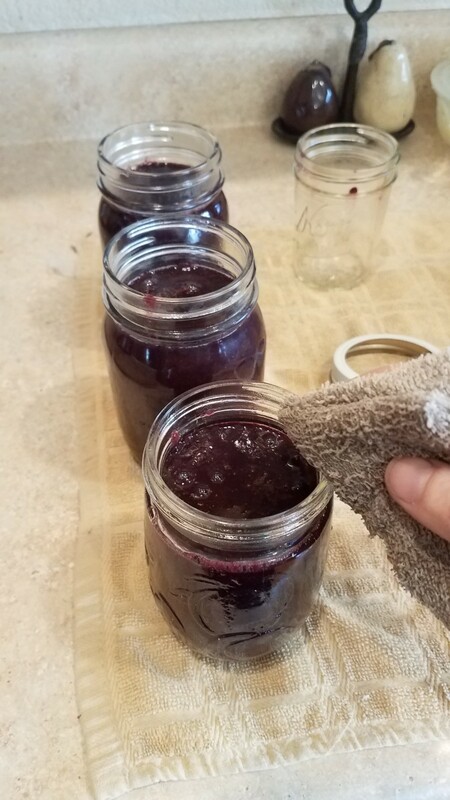 Use an immersion blender to blend up your jam, and then leave the top off and continue cooking until it has thickened. 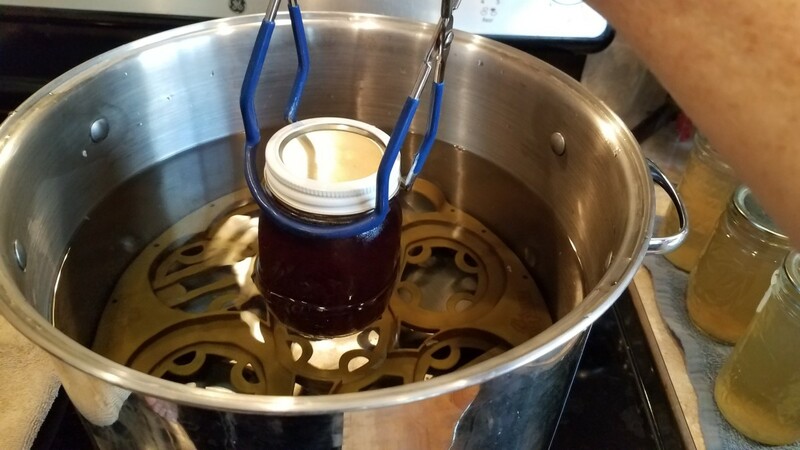 Set up your canning station with your water bath canner. Ladle your jam into your jars up to the necks. Wipe the rims of your jars with a damp washcloth. 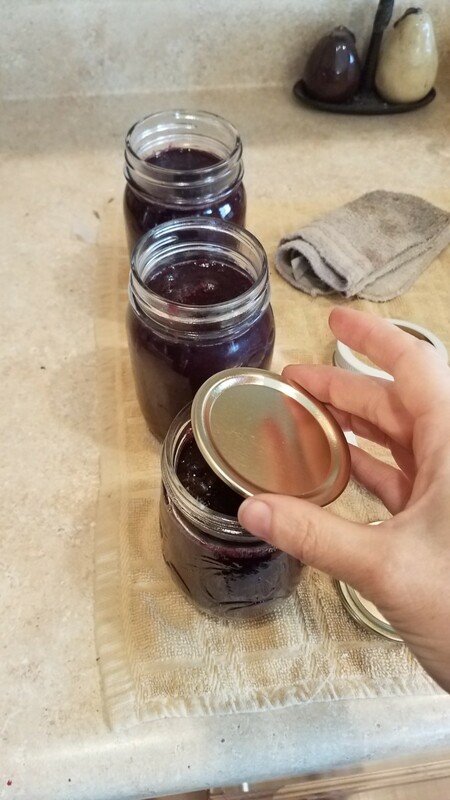 Top each jar with a lid. Twist a ring onto each jar, but only until you feel the slightest resistance. 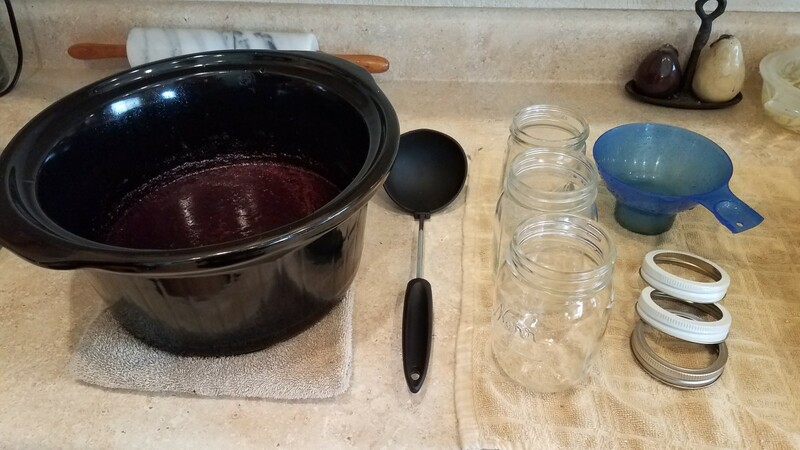 Transfer each of your jars carefully into your water bath canner. Fill your canner with water to a couple inches above your jars. Top with the cover and turn the heat to high. Continue to follow the detailed directions in the recipe. We really enjoy our jam in this house. I have made so many different varieties that it's interesting to see how jam is going to turn out. 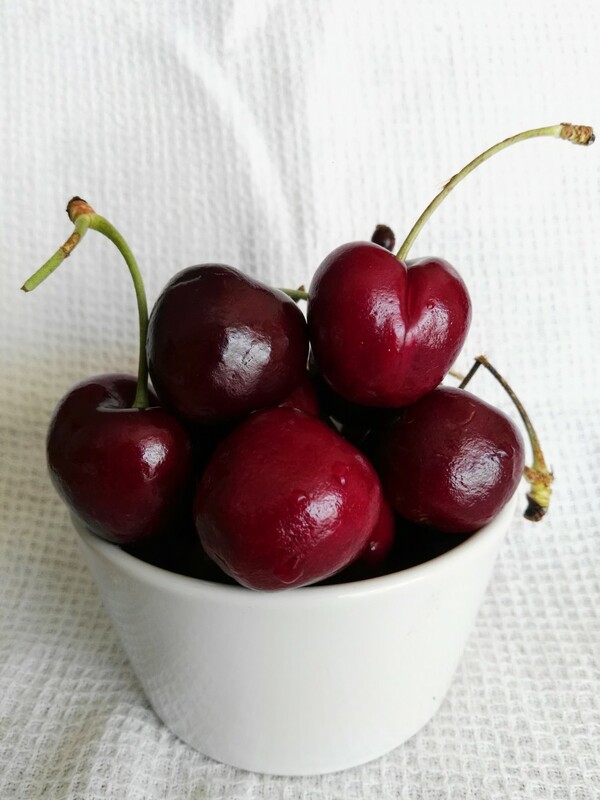 being made with grapes and cherries, the sweetness of the grapes really goes well towards balancing the more sour taste of the cherries. I think the jam really turned out well. Yum! This was a new jam recipe idea that I will be surely repeating again in the future. 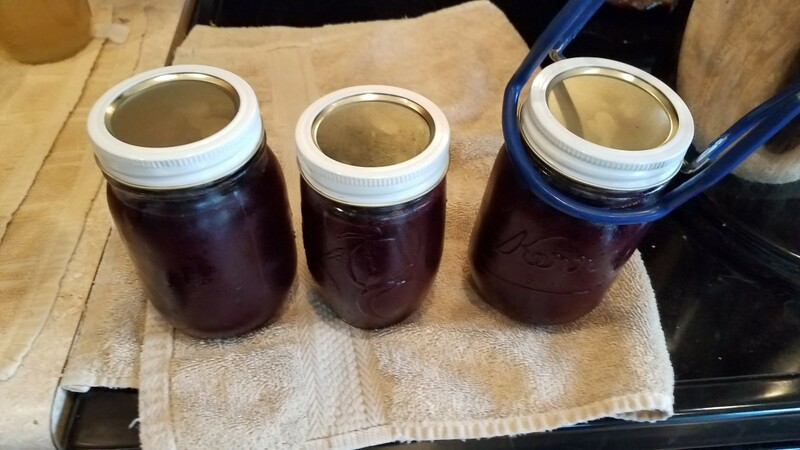 Ever since discovering that I didn't have to make my jam on the stove, and slave away for hours at a time standing up and stirring, it's been so much easier. There are even some people who peel their fruit or cook it down and put it through a food mill or sieve first to get out all of the skins and seeds, and I just think that takes too much time on my part. Time, and using both of my hands at the same time, is definitely not a luxury in this house, so I like things to be as quick and easy as possible. Notice, I also do not use pectin or refined sugar to thicken my jam. 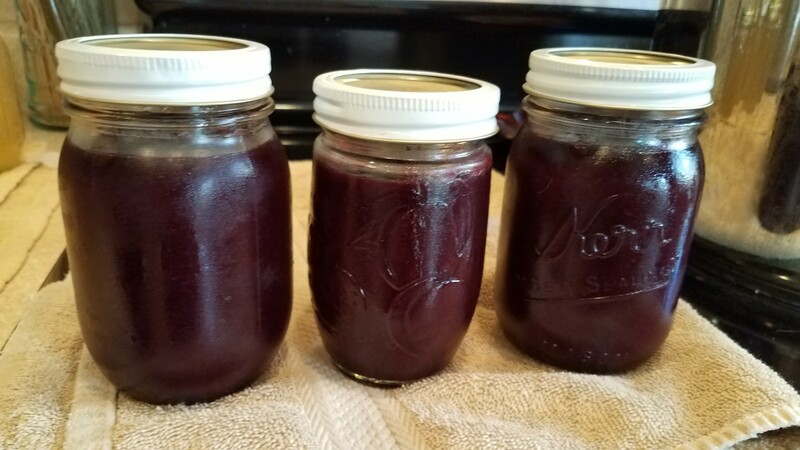 It turns out that a little squeeze of honey, and letting the jam thicken on it's own by evaporating the water out, works just as well and is loads healthy than the alternative. 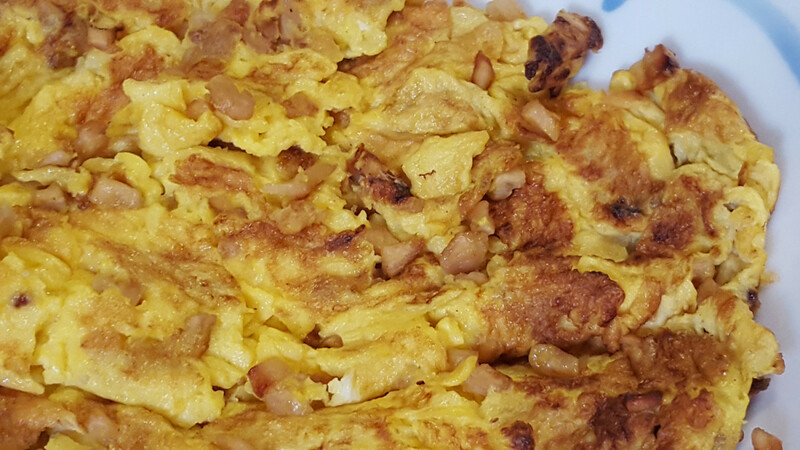 I hope you enjoyed this recipe and find the motivation to try some other recipes on your own. I really like the fact that you use honey rather than sugar. This combination of fruits sounds wonderful. I think we would love this one, and I would never have thought about using grapes in any jam. thanks for another great idea for canning.